100-pin LV-32MX v6 TQFP MCU Cards with PIC32 microcontrollers in TQFP package soldered on them. These cards are compatible with our LV-32MX v6 development systems. 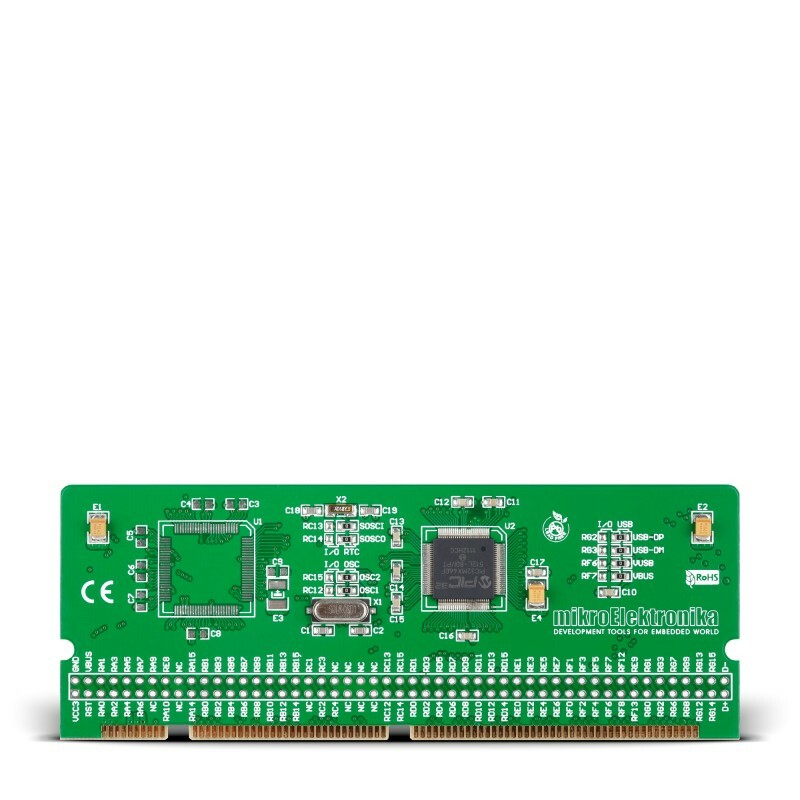 Besides, an oscillator and 100 pads connected to the microcontroller pins are also provided on the MCU cards. These pads make the placement of MCU cards easy. Two types of PIC32 microcontrollers soldered on MCU cards are currently available for purchase.